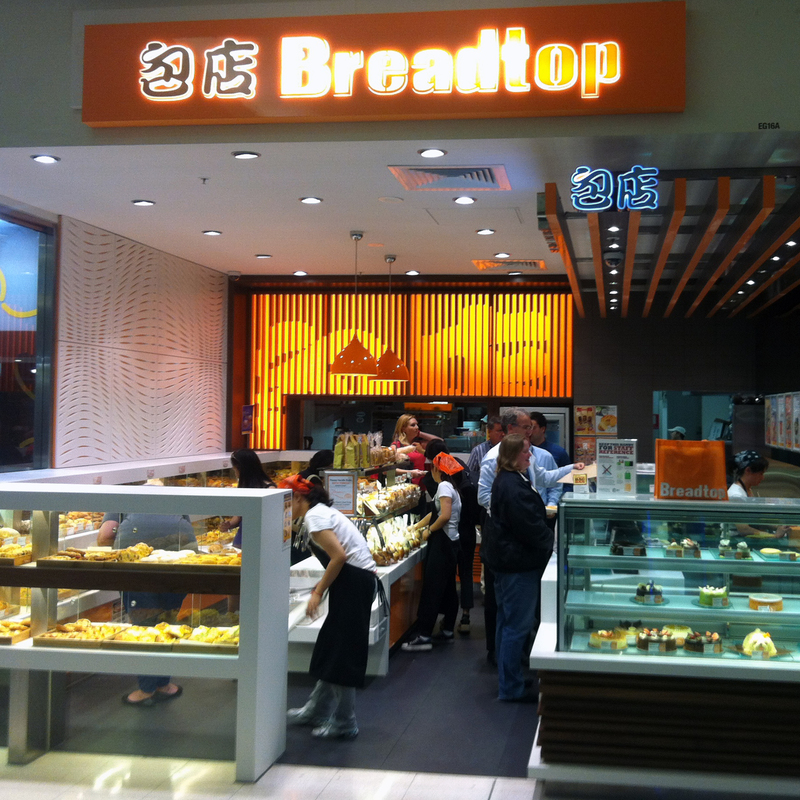 To be honest, we weren’t too sure what to make of Breadtop when we first encountered their store in the Canberra Centre. On first impressions, the brightly lit store filled with swarming customers (and even more staff) gave the impression of a cross between a bakery and Crust Pizza. It was simply overwhelming. It would take the gentle encouragement of a colleague as well as a dedication to investigating the new and unusual in Canberra that led us to cross the floury threshold and indulge in the small mysteries located in the multitude of display cases. The Breadtop website describes their intent to offer an ‘open’ concept for their bakeries as a reinvention of the ‘90’s open kitchen. It works too as the bakers operate in full view of the customers giving every indication the food is as fresh as it looks. A welcome addition is the ability to serve yourself. Simply grab a tray and pair of tongs and you’re off. It’s the perfect system for bypassing self-restraint. Once inside we couldn’t help ourselves. One look at the glistening crusts on bread and we had no option but to load up on a mix of European and Asian style goodies. At a glance, here’s how we filled ourselves. For the princely sum of $12.00. 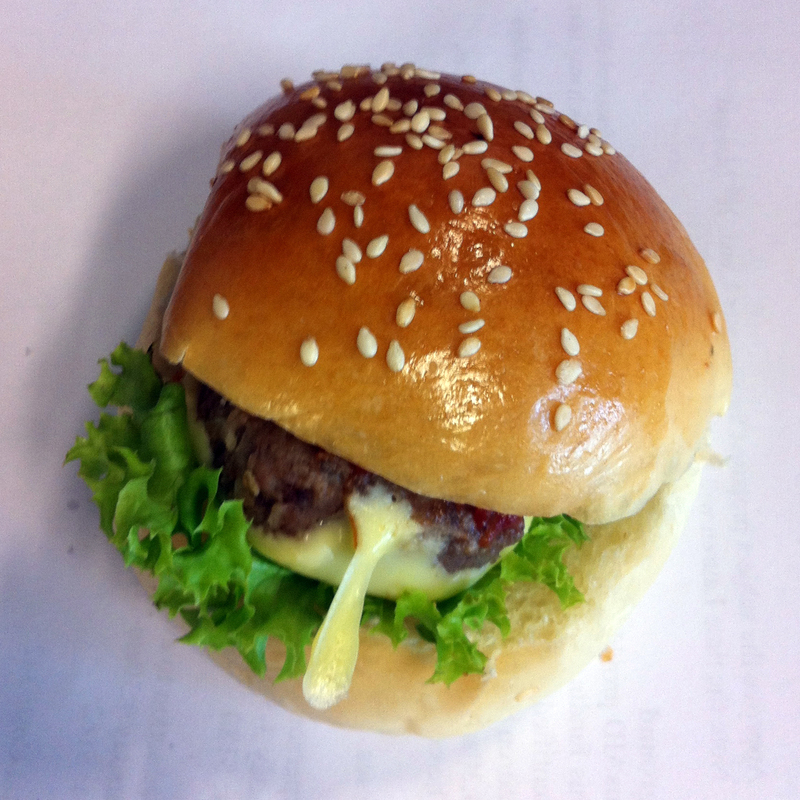 A delicious, spongy roll with a mince patty, lettuce, ketchup and cheese. This provided a delicious mouthful of flavour that reminded you of how the local ‘greasy spoon’ used to make your burger. No messing about here. Crumbed whitefish (shark??) with tartare sauce. There was simply no need for any further ingredients and again was a perfect trigger to remind your palate of what it was like eating the real thing. 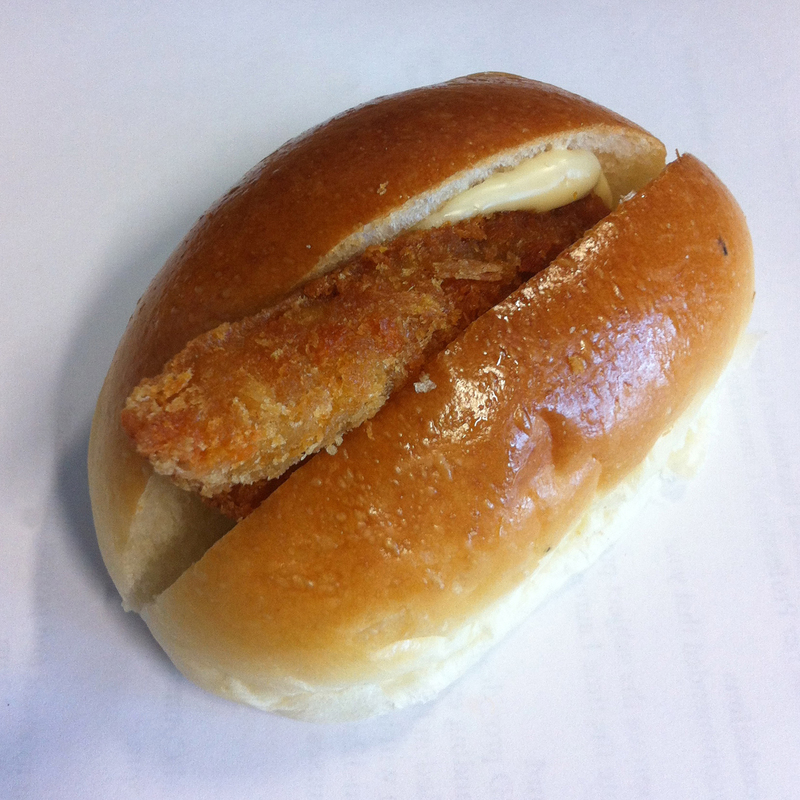 I mean, look at the glistening roll. Delicious. The Bacon and Cheese Melt. One for the gluttons (clearly us, although by this stage we were starting to slow). Again, this morsel cast the mind back to previous food experiences. In this case, it served as a reminder that almost anything tastes better with the addition of bacon and/or cheese. More than the sum of its parts. 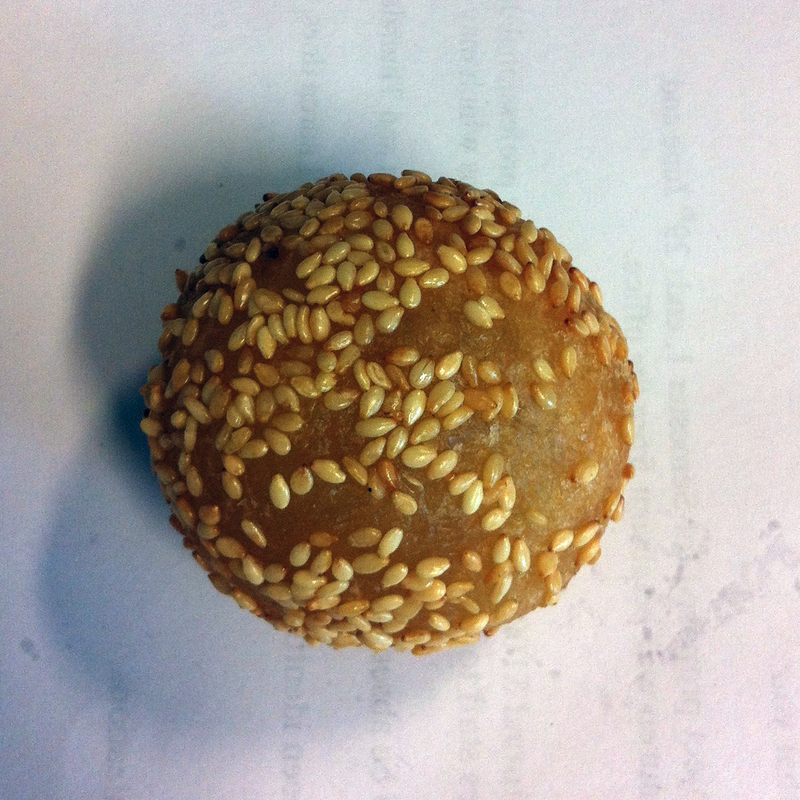 The Green Bean Sesame Ball. 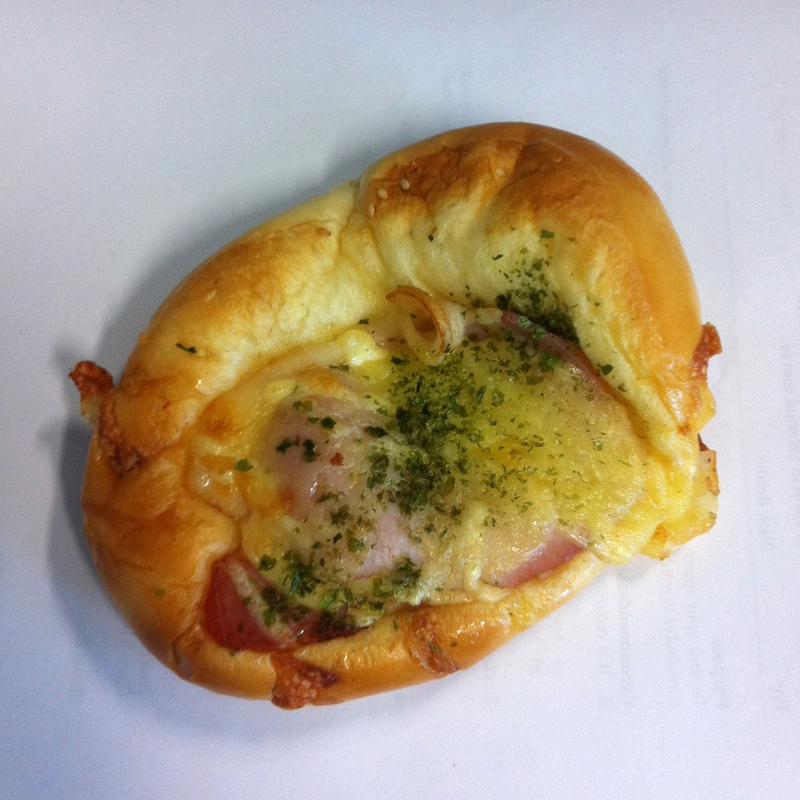 After three savoury snacks something sweet was certainly due. The bean paste is rolled into a ball, dipped in batter and sesame seeds and deep-fried. Yep, it tasted as good as it sounds, with the puffed up batter giving way to the sweet paste inside. We could have eaten three (were it not for the Bacon and Cheese Melt). This curiosity was the only pre-made delicacy we attempted. 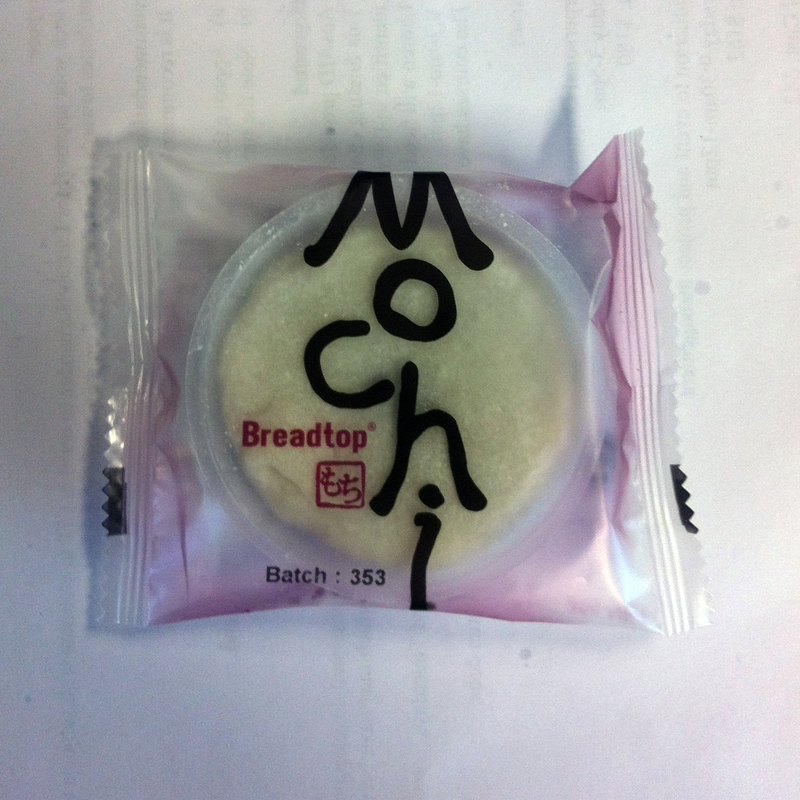 While there were plenty of fresh alternatives, we were keen for a variation on the Breadtop mainstays. Essentially red bean paste enclosed in a casing of glutinous rice, the subtle savoury flavour is not for every palate, and certainly took us by surprise following the sesame ball. Still, if your preferences tend away from the sweet, it’s a convenient (and longer lasting) treat. There you have it. Don’t let our dodgy photos deter you in any way. This place will fill your belly and sort out your cravings much more quickly than it will empty your wallet. For those unfortunately scattered to the Boondocks, there are Breadtop franchises in Woden and Belconnen. Give it a go and, if you do, try the pork buns for us. When hungover after a night of wine, champagne, vodka and whatever else you can find in the back of the cupboard this place is a god sent! Cheap & tasty! Where abouts in Canberra Centre is it? I discovered their Woden store a little while ago and was overwhelmed by options…but, damn, there’s a whole heap of sugar in that bread! And, yes… It’s certainly not one for the health conscious! There’s one in Belco too, opposite Coles in the “new” end. Personally I don’t rate it, way too much sugar – tastes foul.